Hey guys! Welcome to another Design Team Tuesdays and thanks for joining us. 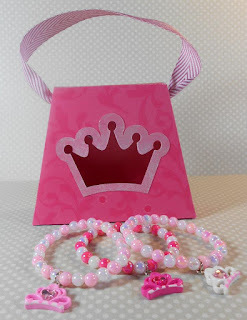 I have some talented ladies on my Design Team. And for Tuesdays, I didn't give them a theme and just let their creative juices flow. 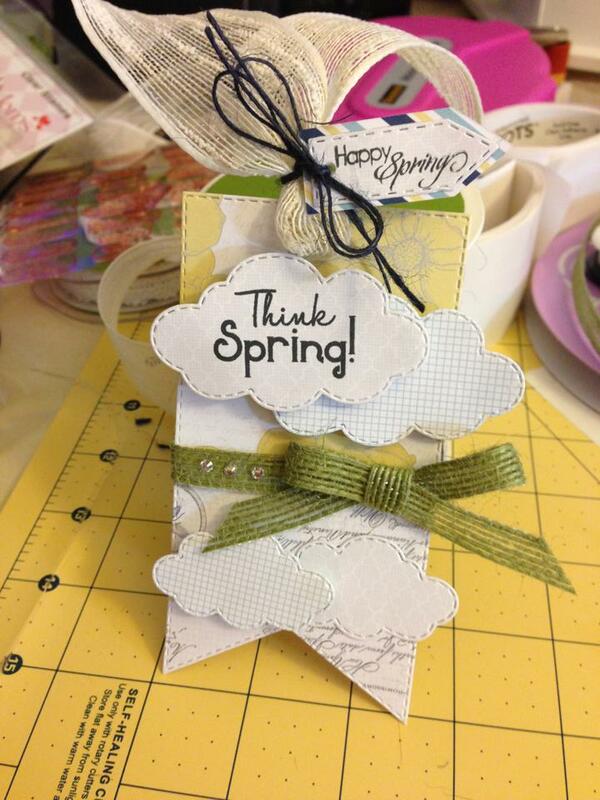 For Mine i made a cute little spring tag. I used the Green Jute Ribbon, which i attached via glue dots, I used the ivory mesh ribbon, and the navy jute. 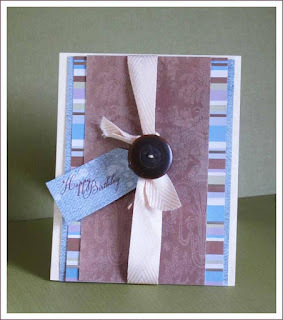 the paper is from Teresa Collins "Every Day Moments" 6 by 6 pad. 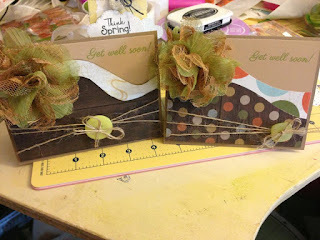 I used a mix of my creative time dies, and the teenie tiny sentiment, and the think spring is from scrappy moms. i also used my Ebosser for the first time. 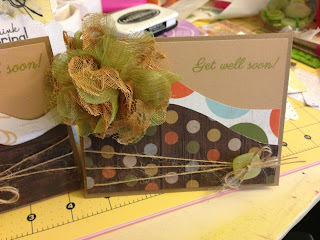 then i used some scraps from my kiwi lane templates. 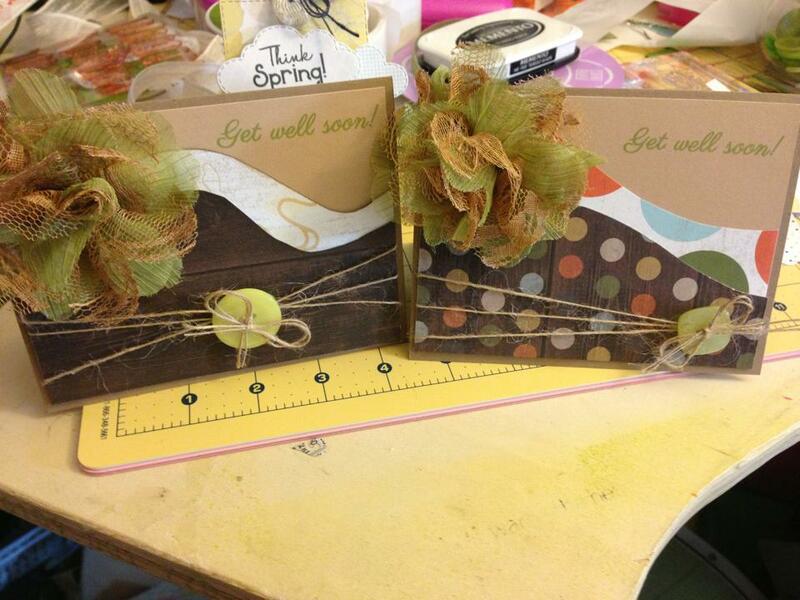 and the natural jute twine, along with a big flower i found..
i made it in to a simple get well card.